My enthusiasm seems to cause my world to endlessly offer me cooperative, co-creating experiences. I’m willing and I’m eager, and not just about my writing—I feel the same way about staying in shape, enjoying my family, giving a lecture, or whatever it may be. If you have passion, there is no need for excuses, because your enthusiasm will trump any negative reasoning you might come up with. Enthusiasm makes excuses a nonissue. When you seek the presence of your creative Spirit and are filled with passion about virtually everything you undertake, you’ll successfully. REMOVE THE ROADBLOCKS FROM YOUR LIFE AND ENJOY THE ACTIVE PRESENCE OF SPIRIT. Your physical DNA determines many of your physical and physiological characteristics. As you progress through the shift your DNA is being activated from the 3 strands that currently define humanity to the 12 strands that are available to you as your energetic vibration is increased. But you also have emotional DNA that is connected to your physical DNA and the two affect each other. In order to speed up the manifestation of the DNA activation your emotional DNA issues require healing. Your emotional DNA is the storehouse of your emotional memories from all of your lifetimes. It also contains the karma and lessons that you have with your soul group. It is what directs many of your thoughts, beliefs and much of your behavior. Your emotional DNA plays an important part in how you create your reality. When you are faced with people, situations or experiences that recall past memories your emotional DNA is activated as are your karma and karmic patterns and all behavior associated with them. The activation of your physical DNA will trigger issues associated with the emotional DNA. This triggering process occurs because the activation of additional strands of DNA and the increased vibrations you experience remove support for the emotional DNA and its patterns. The situations and issues that arise are indicators to you that activation is occurring and there is healing to be done. It may seem that the closer you come to activation the more difficulties you experience, as in a healing crisis. This is because you can now be aware of the emotional DNA patterns and are being shown what needs to be healed, released and transformed. Your emotional DNA is what binds you to your soul group and when it is healed you are able to reconcile with them for the emotional energy that exists between you has been transformed. And with this energetic clearing you are free to choose the range of emotions you will experience. If your emotional DNA contained anger, sadness, fear or sorrow, you can choose new emotions for your reality as you are no longer under the direction of your emotional DNA’s memories. As you progress through your activation be aware of the emotions that you are presented with. They are there for healing and release as part of the DNA activation process that will bring you to enlightenment, evolution, peace and unconditional love. This is the Archangel Uriel channeled message for February 17, 2014, Jennifer H.
Allowing joy to be an energy within you, expands that energy on earth. The path of the seeker ends when the seeker realizes one important truth: The one who asks the question is also the one who holds the question’s answer. External inquisitive seeking, sometimes-unconsciously, questions the existence of Source and is often a longing for reconnection, divine grace, acknowledgement, and the truth beyond your doubt. As a spark of divine light you always know, internally, (via your bodies/tools: emotion, heart, mind, body and soul) and yet you seek reassurance; often because you see a world in disorder and want to know that someone has the answers. You can bring divine order to chaos when you know that the one who is aware of the chaos is the answer and has the solution. Third dimensional human resonance often asks outwardly for answers when within is the answer you are seeking. What you want out of every experience: the lessons you learn, the healing that is available to you, and the peace and understanding your soul seeks. Being within you, answers may be sought internally or dealt with when reflected through life experiences. One may go from one lesson to another, seeking external answers…when all the while, each lesson has the answer for you. Turning inward, every lesson is a complete experience when you are pausing long enough to allow yourself to hear the answer; very often, even before you ask the question. This is your path of ascension and in higher vibrations questions evolve to conscious co-creations. Life becomes a path of creative unfolding, where you are no longer a seeker. Here, moving from one point of creation to another, becomes the answer to all, through your re-connection. As co-creator with the Universe you create the answers to each question. You can simply receive from your inspired intention, evolving from a place of unfulfilled need, to the next point of deserving. Emotions are the batteries of our mind. They have different functions and purposes. We can mentally evoke them or we may pick them from the environment or from our deeper self. Such emotions are usually messengers, healers, or challengers. Messengers give us messages about our behavior, actions, other people, and many other things. Usually when they deliver the message, they leave. This is usually different from healers and challengers, but challengers may also behave like negative tricksters imitating the function of messengers. It is good to be aware and if we experience the same “messenger” more often in totally different situations, the emotion is very likely a challenger. If so, we should smile and laugh to transform the energy and protect ourselves with positive emotions, intentions and optionally with herbs. Challenger is abused negative or neutral energy/archetype. Positive emotions cannot be abused. They don’t mix properly with bad intentions. Messengers can be positive, neutral, or negative emotions. True messengers are good and we should listen to them. Even animals may serve as messengers and they do. Certain particles (bosons) in the microcosm serve as messengers as well. Healing can be done with positive forces and emotions. Other (neutral) emotions may sometimes serve as healers as well. Such forces are associated with good intentions (emotion) and they help to purify, heal, and protect us. We should be aware of our thoughts and emotions, because we may use them for both healing others/ourselves (when we think good about them/us) and challenging others/ourselves (when we think bad about them/us). 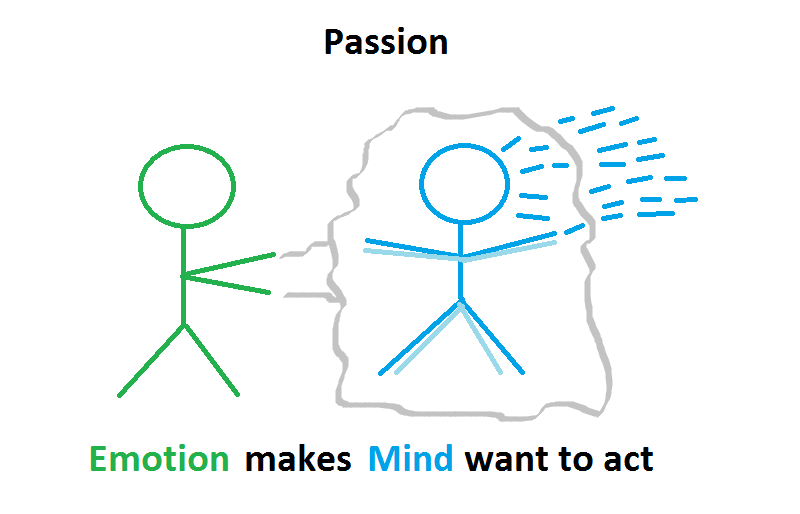 Interesting observation: many emotions are closely interconnected, for example love and joy. When you feel love, joy will arrive as well and vice versa. Brilliant Repost For Current Moments! ….The charade is over as we take off our masks, and Look around at the Family, we Had played with for so long in duality..We Hug and Remember the Truth, that we are God and Co~Creators and we are ALL created from Love, and We are All Equal. The winds of change are among us as the ushering of an Age begins a new life , a new story, and mother earth renews her lands. this Emerald Planet made of Love . Light, and Humanity Free at Last!!! Angels are awake and now are walking among these lands fulfilling the missions and contracts to bring Love back into the Hearts of all man. Awaken for it to be seen..Can you Now remember why we all came? The Human Angels have broken free from the bonds of their thoughts, to the UnLimiting Potential of Love forever after, to show the way into Heaven With Bliss, By Being Love in Simple Service to laugh, to play, and simply just BE. One must surrender and understand this is real..for when you awaken you will see us there….Love in Action, The Highest Possibility of Thought ever manifested.. .Because Love has Been requested, a Sacred prayer now is Answered. and are well prepared…. We have been called into action…Look for us We are here…. The Golden gate is now opening for all who desire to go… follow your Heart and inner compass…see the treasures, miracles and gifts for The Divine Human Angels have awakened to shine a light for the path which once was dark and has now been lightened… . facets, as the Atoms Gather together, remembering Divinity…. The Divine Plan is Unfolding with Love being the Only Answer, it is Now Love In Action. With Your Parents of Creation here in the Physical Manifest, Cheering You on. What if you knew that today was your last day on Earth? What are the last remaining things you will do today? How will you treat others? What phone calls will you make? What emotions are you feeling? Are there unfinished projects you will attend to or have they lost their importance? If you would truly begin each morning with a short reflection on these things, your days would have much more impact. It wouldn’t be long before you would simplify your life and prepare your estate for those who would have to clean up after you. You would likely stop putting off gatherings and phone calls with family members and loved ones. What would you do differently? Many things that consume your time and energy would simply fall away as you lost interest. As a result, your passion and zeal for life would increase dramatically as your time, energy and abundance in all areas escalates. This is the energy that Cimi offers you: surrender, transmutation, release and death to what no longer serves you. We encourage you every day to take this short journey until you have released all fear of death and seen the importance of living your passion. We will now add the energy of Tone 13 into this mixture. There are a myriad of aspects for Cimi and 13, we are simply choosing one of each for this particular day. Let us see 13 as 5+5+3=13. The first 5 represents you, as a fully aware human, connecting with the energy of your Higher Self, the second 5. This is a conscious connection with that part of you that has remained on the Other Side. Today, we will look at the 3 as the Holy Triad, that which encompasses all on the higher Realms. There have been many names for this Triad, “Father, Son and Holy Spirit” and “body, mind and soul” to name just two. The general understanding is one of completeness. Tone 13 represents You, connected with your Higher Self, consciously united with the Source of All. With this power, you can manifest whatever you desire. Call on our energies to assist you any day, anytime. Your Guides are always nearby, willing and waiting to help you. This gives them joy and is an expression of their passion. They are honored and overjoyed to serve you. Many of your Spiritual Helpers have never incarnated on Earth and are in awe of what you have already transcended. The Earth Gig is not an easy one, but full of many opportunities for experience, growth and understanding. Take time to reflect on your life. Note what is not in order and start there. No task is too large or too small. All is important for your growth into the loving and kind Spiritual Being you are. Choose an area in your life you would like to transmute or change and ask for spiritual guidance and assistance. We suggest you start with the fear of death, if you have not already mastered this area of your life. In the Mayan tradition, the whole culture was focused on the energy of each specific date. Can you imagine the consequences if your entire Earth population each day supported each other and worked on common goals, such as releasing fears related to death? This is what made the Mayan such a powerful culture. Working together made them strong individuals. Their culture crumbled when they forgot these ways. However, the culture is being reconstructed globally by individuals, like you, who are taking time to work on themselves, thus creating role models for others. These individuals are forming a huge collective energy that will create the shift that many now are dreaming of. We encourage you to be an active part of this group. I take my leave and envelope you with much love! "@SunnerGlare: @ABenassuti @EmanuelaOmal12 @PFisseux Good evening pic.twitter.com/yOXs0xTP29"
Excitement means that an emotion strongly stimulates our mind. The emotion is so strong, that our mind is resonated. Excitement is both an emotional and a mental matter. For example, when we feel a strong desire about our goal, we can easily find ourselves in a situation when we can’t think about anything else at the moment – we are excited. Bang bang, my baby shot me down……. 12/12/16 Met uitleg wat er bedoeld wordt met ” my baby shot me down ” wacht ik nog eventjes. Soms is het verstandig om niet alles prijs te geven. Dat is eigenlijk het zelfde met de reden waarom ik zoveel energie stop in iets wat geen geld op levert. HIER leg ik een en ander uit maar de kans is groot dat u dan nog niet helemaal snapt wat er achter zit en ook daar WACHT ik nog eventjes mee….. It is in your power to step up and say: Heck yes. It is time!